Always Fresh Larochelles Seafood is striving for the freshest seafood you can get without catching it yourself. Quality and customer service will get you everywhere. Check out our Lobster Clambakes Cooked and ready to eat!!! For Ready to cook Maine Lobster, Shrimp, Clams Haddock and more you need to stop by our Seafood Market! Found this place through work two years ago and have not stopped going there at least weekly or more since! 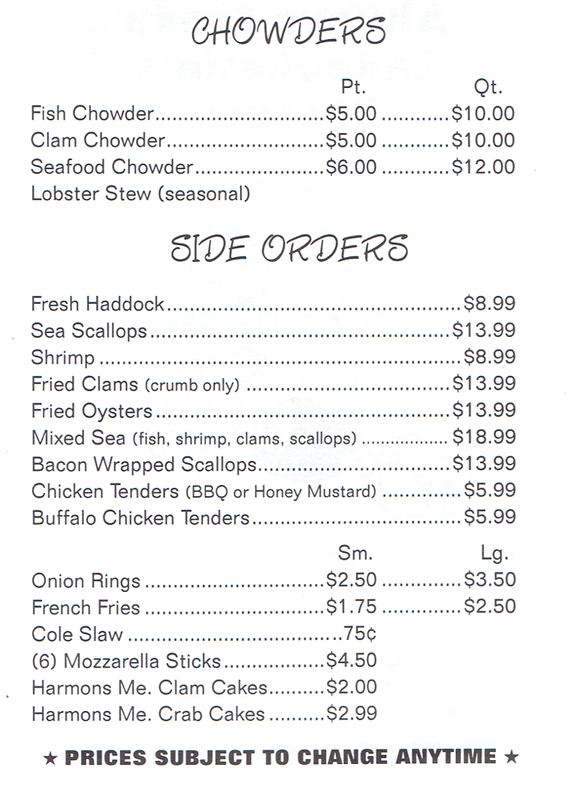 Always the best chowder, clam, fish, lobster etc.. Everything on there menu is cooked perfect every time! Fresh is what the have! seen it, ate it. Yum! I needed to thank a relative in Texas for some family heirlooms that he passed down to me. Called Neil and set up the order and delivery. I paid, he gave me the time of delivery over the phone and that was that. I got my FedEX notification of delivery at exactly the time I was told AND was able to call my uncle and aunt to listen to their surprise and joy when they opened it. Excellent quality, and they do what they say they are going to do. Pretty rare these days. Thanks for the great service! Can't beat it. Friendly staff and fresh seafood. The best Haddock sandwich, Seafood chowder that I have ever had! We've also been going here since it was Al's Seafood. 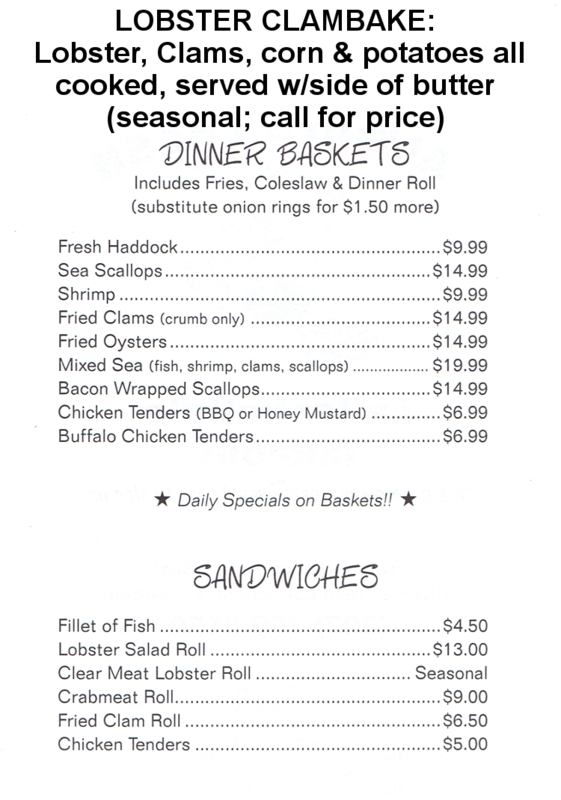 Freshest seafood, best prices and best service around! Great dinner's as well, made fresh to go! Highly recommend!!! !